You must have got lost in the green Apennines, and happened to find out an old village set like a gemstone in the mountains, no matter if you were in Umbria, Marche or Emilia. You must have had the impression of one of those places where time and space have stopped, the ideal place to live, where you could really feel Nature castaways. Not so distant from reality, as many of similar, nice small villages are nowadays unpopulated and lonely: the last cafés and shops are closed, the youngest population have moved to the city, the farmers have disappeared and nobody keeps the forest clean. Its grazing lands are reducing, while the natural vegetation increases, landslips and floods get more and more frequent. If we consider that more than 75% of the Italian territory is made of mountains and hills, there are so many small villages in the Apennines risking the extinction. Not only are plants and animals to be saved nowadays, but also its farmers. So Antonio Cherchi, President of Slow Food Emilia Romagna, opened the interesting meeting “L’Appennino che scompare“ (lit. The disappearing Apennines), organized last September by Slow Food Parma. 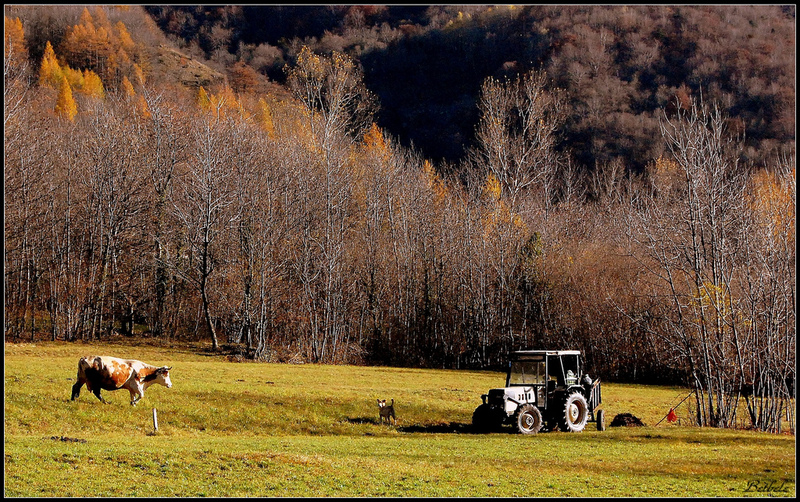 The farmers are the best guardians of the Apennines; when the lands are abandoned, its landscape also changes, its forests are no longer cleaned, and therefore, its hydro-geological disorder gets increasingly more frequent. 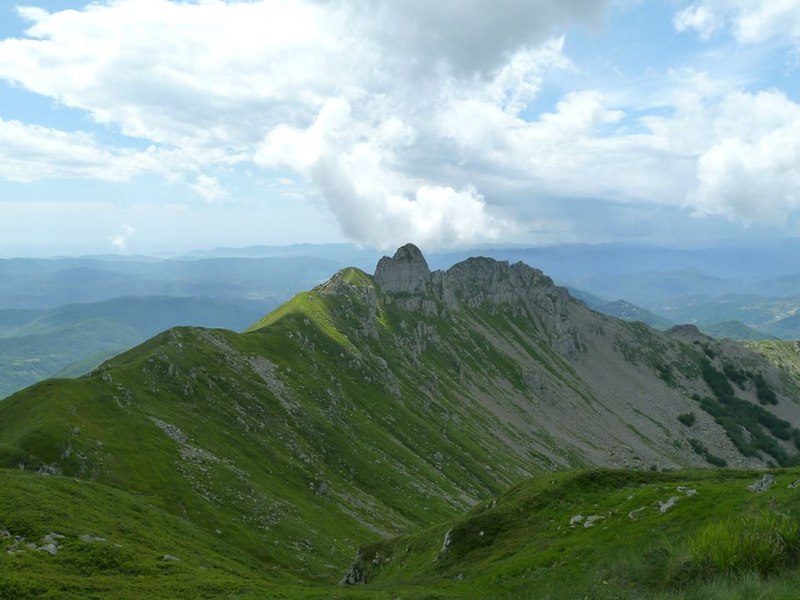 How can we save the Apennines? Renew its tourist offer and combine it with the Agriculture can result in a winning recipe. Promoting a tourist formula, not only linked to Nature and Parks, but also its typical production, wine & food, and local products. Giving life to an eco-friendly tourist model, by endorsing the agricolture and making it more sustainable, recovering its traditions, culture and local food. In the mountains near Pistoia, for example – where only 14 small Pecorino producers still resist and women keep the secret of cheese making – there is an incredible variety of old knowledge to keep and endorse. “L’appennino che verrà” (lit. The coming Apennines), 1st Italian meeting on Slow Food which was held 8-10 November 2013 in the Natural Park of the Forests in Casentino, between Tuscany and Emilia Romagna, gathered many protagonists of the agri-pastoral field of the Apennines to debate on this. 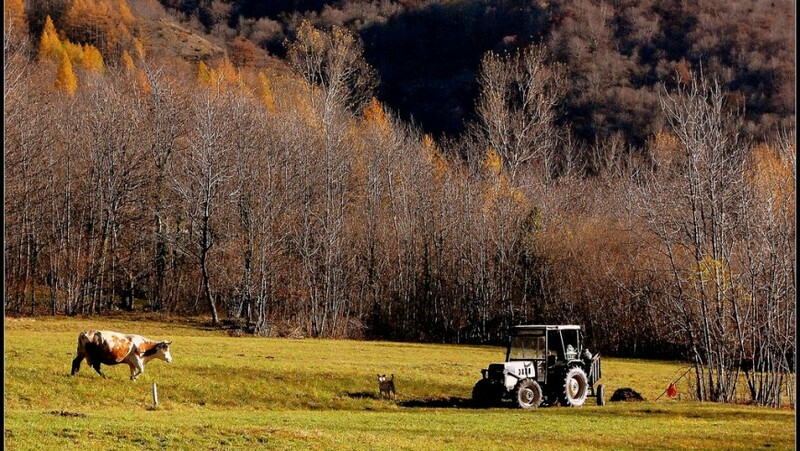 According to Slow Food, farmers really can be the protagonists of the re birth of the Apennines, as long as they can develop a “triple attitude: that is, the capacity to work and operate on different levels, not only in the sustainable agriculture, but also in communication, marketing and tourism. Some recent innovative experiences in the Apennines let us hope in an “inverse migration”. Young people, above all, have reconsidered the future of these beautiful places risking the extinction and given them new life towards creative tourism, agricultural and community ideas. They are “super farmers”, as they cultivate their land, know the story and culture of these places, and they can think of new, creative and sustainable tourism formulas. Some examples? 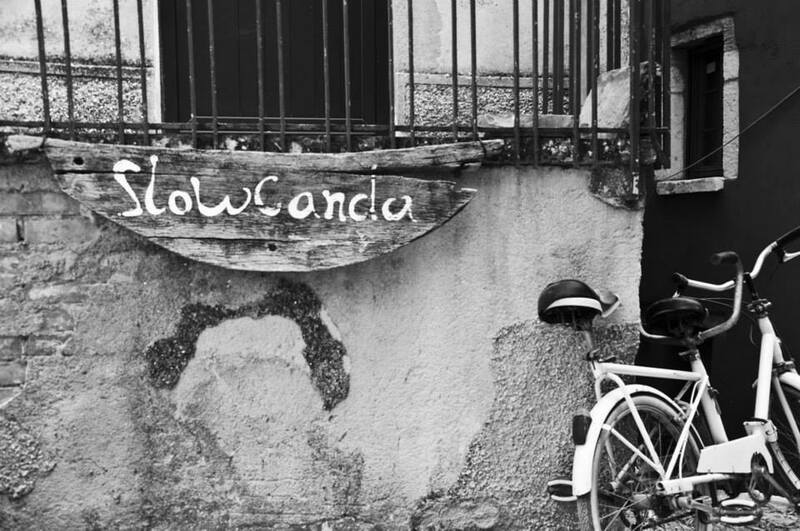 Slowcanda comes from a project by Betty and Lorenzo, who define themselves as “two crazy young people who love travelling in order to find unusual, stunning places“. Their wander in the search for a special place where to live together, work and grow their children up, ended in a small village, almost abandoned, clung to a crest on the Apennines, below Mount Nerone (province of Pesaro-Urbino). 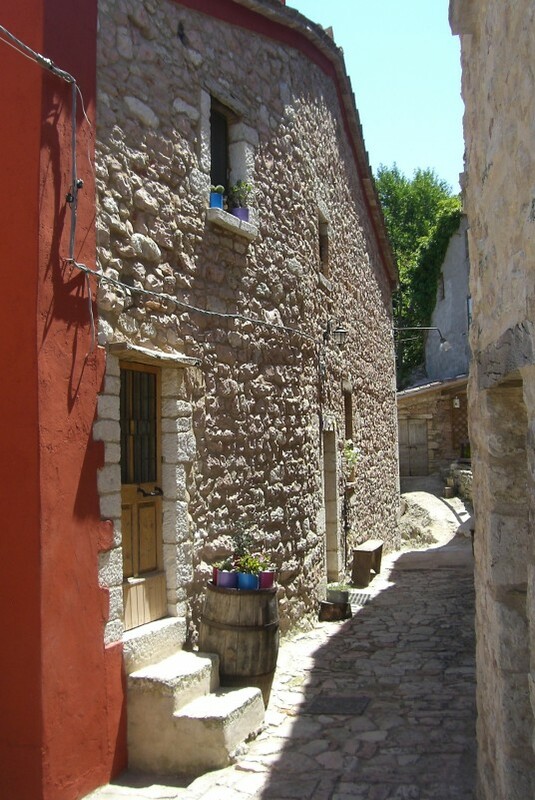 The agri-tourism Slowcanda was set up in 2011, after renovating the old, stone building according the bio-building criteria, recovering rain water, installing solar panels, and only using the timber from the near forests for the heating. To get to Baciardi (Piobbico), you have to leave your car on the top of the village and walk from there. “It’s always nice to watch the people’s impression when they arrive here for the first time! The path is made in stone, so that heels stuck in there and… mobile phones: there’s no reception here. After that, they begin to relax, sipping an aperitif, sitting on old, wooden chairs and there come the memories, silence is tasted – it only gets interrupted by our yard animals: Igor the rooster, the geese and Unico, the runaway donkey”. Here you can taste our 0-km food, coming from our synergic garden, according to bio-dynamic principles, which also counts many fruit trees under extinction. Info: how to stay at Slowcanda by Betty and Lorenzo, or just stop for an incredible 0-km lunch in the heart of the Apennines in Marche Region. Briganti di Cerreto, on the Apennines between Tuscany and Emilia, is a community founded by the resident farmers in the small village of Cerreto Alpi: thanks to their courage and affection, they gave new life to their village, therefore saving it from extinction. How? They banned the word “specialization”, and combined agriculture with tourism, care of the forest, cooking, sheep farming. Today, being a farmer in Cerreto Alpi means dealing with more things at once, like in old times: from the forest maintenance to hospitality, although using a social approach, in order to communicate and spread their project through the Internet and new technologies. Their “community tourism” is a successful model: in fact, the old village of Cerreto Alpi now has new life, as if offers a sustainable tourist experience with a variety of extras: sleeping in an old, renovated mill, listening the old folks’ stories of the village in the evenings, walking on snowshoes, or venturing in the forest with the inhabitants of the village, visiting the old chestnut kiln, tasting local food with its local products – from ricotta to pecorino, from chestnut cakes to boar meat. 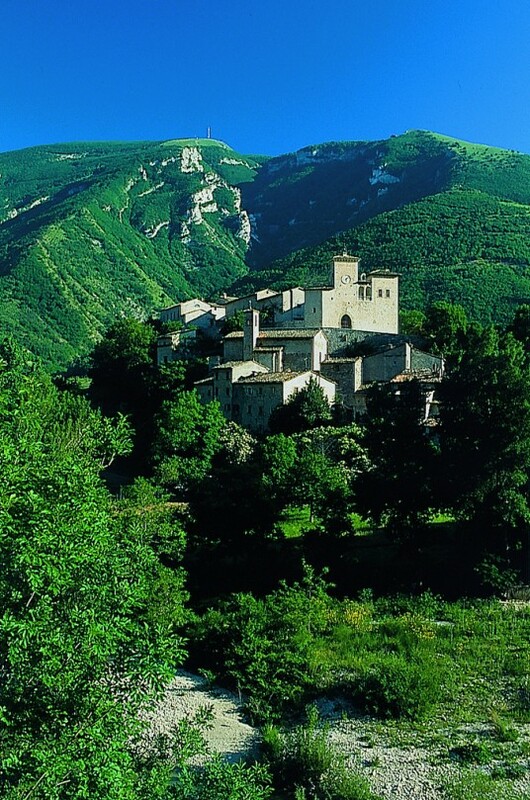 Monestevole, on the Apennines of Umbria Region, an old village of the XV century which has been recovered and transformed into an eco-sustainable community, where you can learn a new way of life in strict contact with Nature. In the green heart of Italy, among olive trees, vineyards and oaks, 40 minutes far from Perugia, you can have dinner all together around a table, take part in many activities, explore the land on a horseback, learn everything on the ecological way of life and permaculture, thus changing your way of life for the better. The people from Monestevole are farmers of the future: they work on the field, getting their hands dirty, with the aim to develop innovative, eco-tourist projects, and then inform about them online to their great worldwide community, “Tribewanted”, which funds and supports their ideas. Such incredible stories, among Umbria, Marche and Emilia, tell us that the re birth of beautiful, abandoned villages in the Apennines is not a myth. The “super farmers”, who are able to cultivate, communicate and give hospitality, will save them. This entry was posted in go green and tagged Apennines, Emilia Romagna, Le Marche, Mount Nerone, organic farm, organic food, Pesaro, Piobbico, Slowcanda, Tribewanted, Tuscany, Umbria, Urbino. Bookmark the permalink.